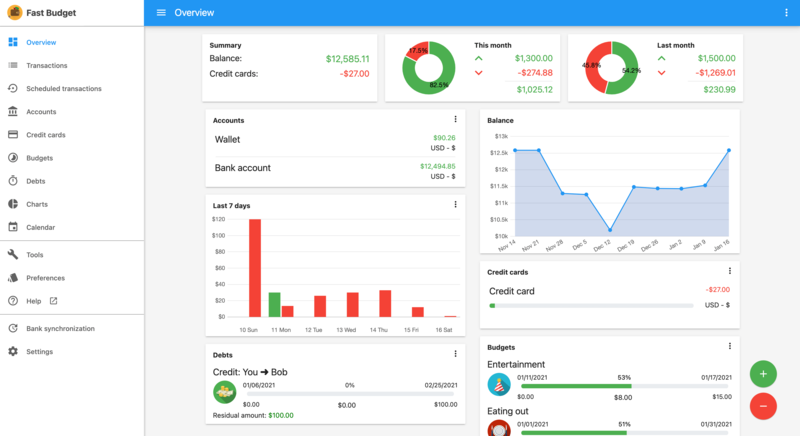 Manage your personal finances also in the web! New features will be added on a regular basis. The website is not intended for mobile devices. Use the app in your mobile devices. The website is available in many languages. Check if yours is present by logging in. If you encounter any problem on the website, contact our customer support by email at "support.web@fastbudget.it".